VR fans are enjoying the spoils of a price war between Oculus and Vive. The HTC-made headset was just discounted $200 and now costs $600 in the US. In Europe, prices are £600 for the UK, €700 for the mainland. You’re getting a 1-month free trial of the Viveport Subscription, which is a great way to sample what VR has to offer. In the box, you’ll find two wireless controllers, two base stations, earbuds, the link box and some additional accessories. Note that this isn’t a price cut to make way for a next-generation of Vive headset, this one will continue to be used “well into 2018”. Plus, the Vive allows for modular improvements like the wireless upgrade kit. 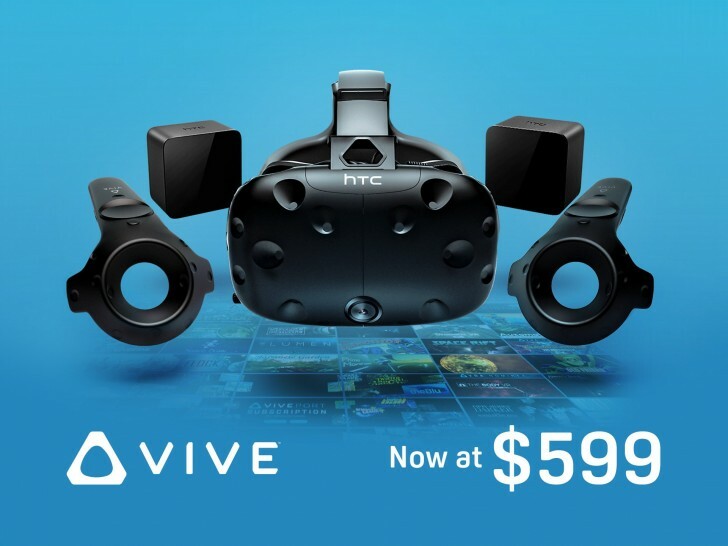 Anyway, despite this discount, the Vive remains pricier than the Oculus Rift, which is still available for $400 with the controllers. Now, if only there was a way to buy a decent GPU at MSRP. It something I can live without.